Last year’s Membership Challenge was a great success and the Society has lots of new members. Thank you to everyone who ‘persuaded’ a friend or family member to join. One of our new members is Jenny Brook. 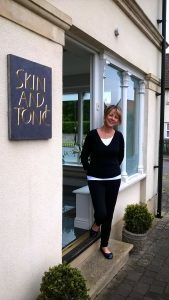 Some of you may already know Jenny from visits to Skin and Tonic, her beauty salon in Shepton Mallet. If you haven’t been before and need a bit of TLC before Christmas, now’s the perfect time as Jenny is offering a 10% discount to fellow members. Ring 01749 347444 for an appointment or ‘like’ Jenny at Skin and Tonic on Facebook. If you are interested in becoming a member please download an application form from the website or contact the show office direct. New members are always welcome.